When an automaker puts the “halo car” stamp on one of its products, it usually carries a heavenly or angelic imprimatur with it. 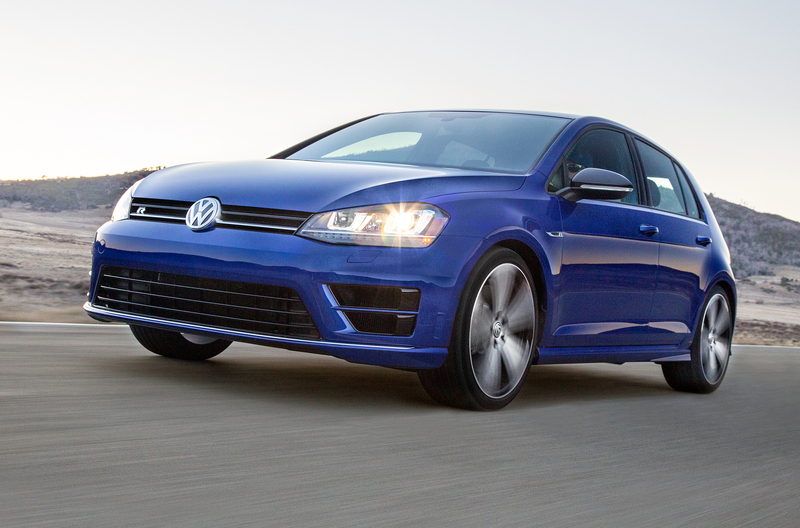 Well, not the 2015 Volkwagen Golf R; this little guy is all devil…but in a good way. I’m sure you all know the R. It’s a part of that German Royal Family — the Golf — which was just crowned “Car of the Year” by a number of journalists, analysts and reviewers though not specifically part of that coronation. That’s because it didn’t land in the U.S. until this month. 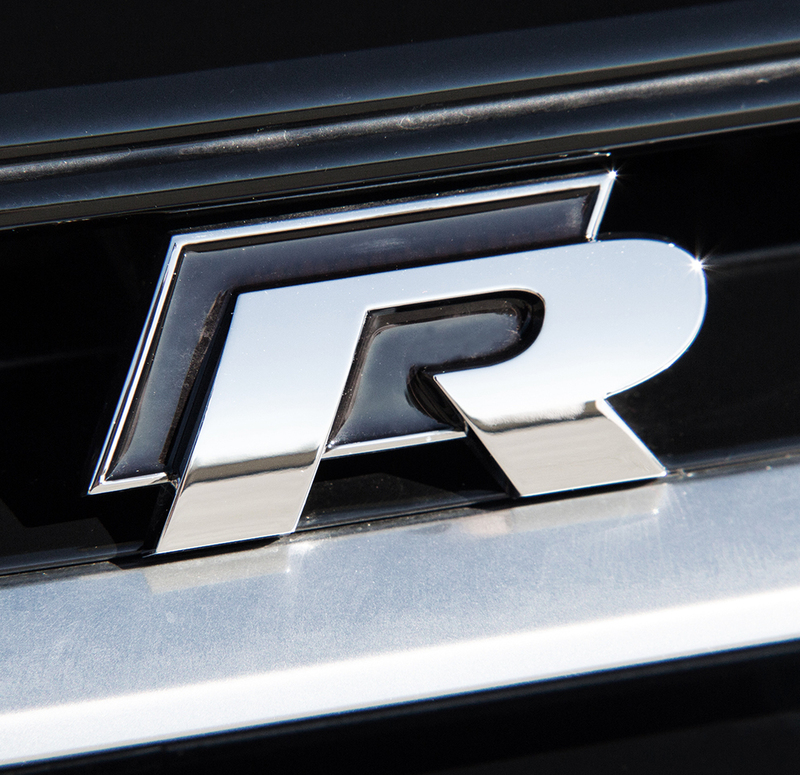 The R has a history steeped in racing. Born back in 1981, it didn’t make it the U.S. until 2004 with the R32. That car sold about 5,000 units which essentially remains the allocation for America today; one that always seem to sell out. What separates this R from the previous years is, well according to VW, everything. It’s lighter, bigger and roomier thanks to it being based on VW’s MQB platform, though on the outside it’s not too much different from the award-winning seventh generation Golf. That said the front & rear facia does have a little more growl to it, the headlamps are more sleek, you get 18 or 19-inch alloy wheels depending on your choice of package and there are double the tailpipes from the GTI. On the interior there is an array of what you might term “luxury” features with leather and heated seats, navigation, VW’s Fender Premium Audio System, a power driver’s seat and front and rear Park Distance Control. All that in a performance compact car. But as nice as all that looks and sounds driving the car is even better. The comfortable cockpit lets you lean into the turbocharged four-cylinder with 292 horsepower with ease. And since all Rs right now come eqipped with the six-speed DSG automatic trans with launch control (the manual comes this summer), the R’s excelleration has no problem hitting its 0 to 60 speed in about 5 seconds or so. 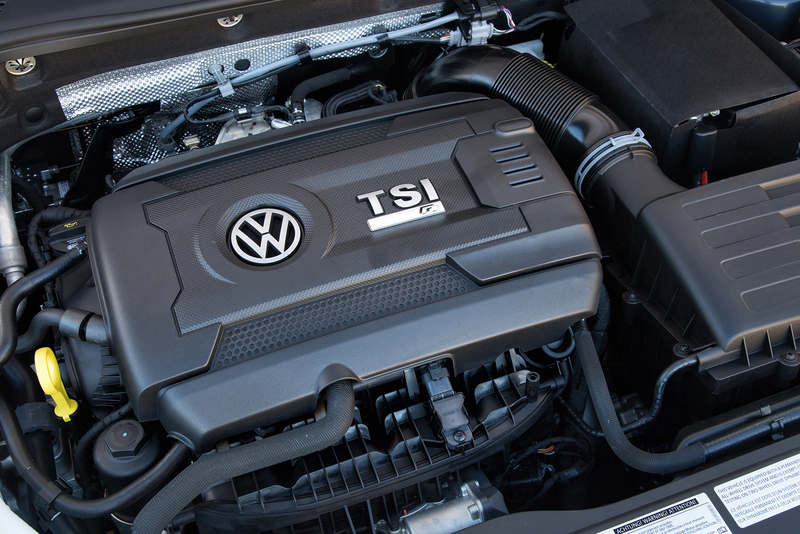 VW put pretty much everything on the R that a performance enthusiast would need to enjoy the car. From its latest AWD system — that it calls 4MOTION — with a fifth-generation Haladex coupling to a new sport suspension to the Progresive variable-ratio steering system, the R hugs both you and the ground whether you’re weaving in and out of highway traffic or winding through mountain switchbacks. VW opened up early ordering for the R on its website only to see the 500 cars sold out with the speed of a Led Zeppelin reunion tour; we can always hope, can’t we? But fear not. If you’re angling for your own R here in the states, they’re starting to show up at dealerships around the country now. But if you’re hankering for that manual transmission car, you’ll just have to hold your breath until June. Interesting perspective on a very niche segment of the market. « AD #1553 – A Battery-Free Tesla Fighter, Autonomy Means Fewer Cars, AWD for Cadillac V’s?